History and Culture – Discovered in 2243 and colonized in 2316, Cassiopeia Prime is considered both the most ideal and the most frustrating orbital in all of inhabited space. An “Eden World,” Cass-Prime has Earth-norm conditions with a temperate, stable, level 3 ecosystem and a superior equilibrium which causes even the weather to be predictable. However, only three percent of Cass-Prime’s crust is above sea level and only seven percent of that mass can be developed without risk to the planet’s ecosystem. Although Cass-Prime has always been a part of the New Organization of Federal Banking Worlds, its unique role as a crossroads for commerce, as well as its mix of urban centers and agricultural industries, has given it a greater cultural-political autonomy than most NOFBW bodies, as well as a liberal sensibility and a reputation as a center for the arts. 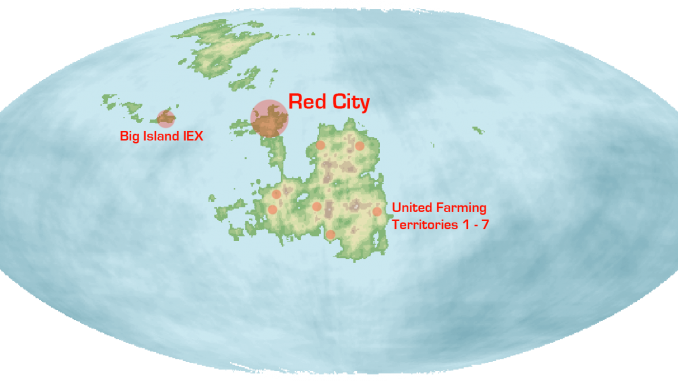 Red City – Early settlement planning zoned the Main continent’s north-west peninsula for the bulk of human habitation, with a carrying capacity of no greater than 18.6M. Architected in a combined style of Neo-Feng-Shui and Eco-Industrial, and run more-so by its own City Council system than by its assigned NOFBW Controllers, Red City is considered the most livable of all large urban centers. 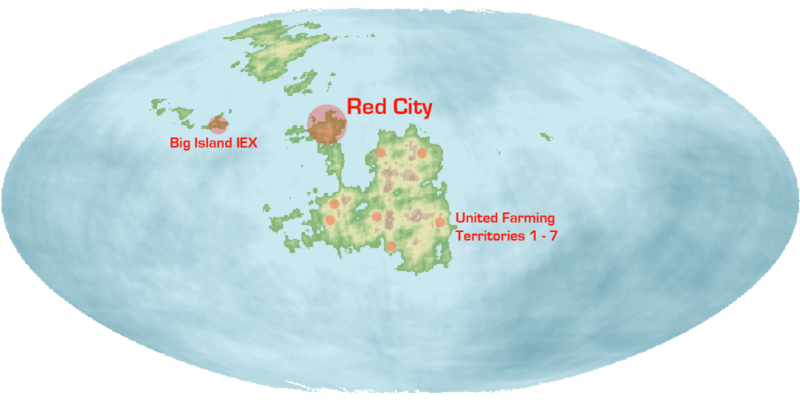 Red City consists of nine districts, in order of founding: Landing, Shirring Point, Pier, Husson, Hill, Central, West of Central, East of Central, Diamond. NOTE: Due to modern strategies for containing crime, tourists are strongly advised to avoid the Shirring Point area in its entirety.